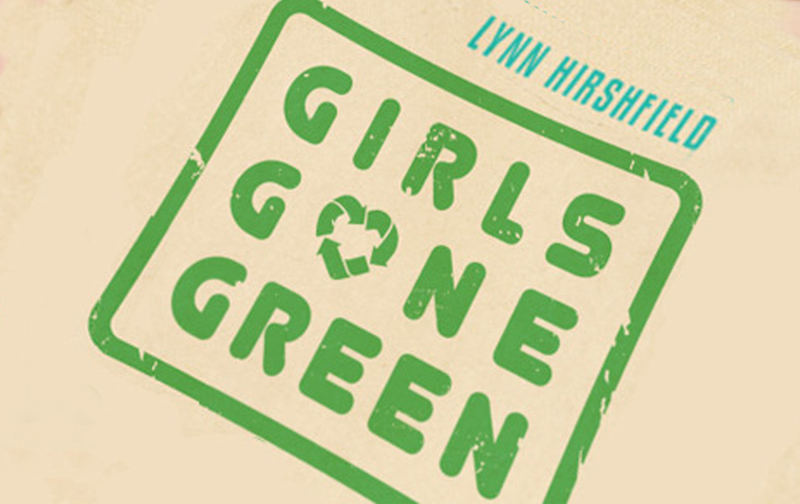 A fun, hip, and inspiring book about girls who’ve taken the initiative to “go green”. Hayden Panettiere, Mischa Barton, Ellen Page—everyone’s going green these days, but saving the environment is a large task for anyone to take on, especially a teenager. Yet the everyday green girls profiled here have a passion—to do just that. They’ve stepped up, taken the initiative, and made their voices heard, and in doing so, they have helped to effect change—from creating a cosmetics line free of toxic chemicals to trying to conquer global warming to encouraging the use of wind power. Filled with stories from real girls who made a difference, plus lots of celebrity green girls who are doing their part to help out, Girls Gone Green gives girls everywhere the inspiration to do something to help their world. It doesn’t matter how small the change is—it only matters that you make the effort to bring about that change. Lynn Hirshfield is the author of Sassafras: True Confessions of a Poodle Princess and Sassafras Goes to Hollywood and was inspired to write this book as a result of her work on the award-winning film An Inconvenient Truth. Lynn currently runs publishing for Participant Media.